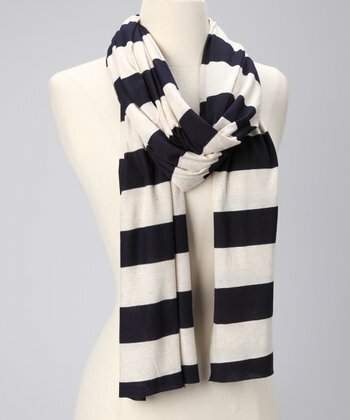 One Savvy Mom ™ | NYC Area Mom Blog: zulily Has Something For Everyone This Holiday Season - Check Out The Items That Are Topping Our Holiday Wish List! zulily Has Something For Everyone This Holiday Season - Check Out The Items That Are Topping Our Holiday Wish List! zulily is your one-stop online shopping destination this Holiday; offering great deals and unbeatable prices on all of those great brands that are toping wish lists' this season! 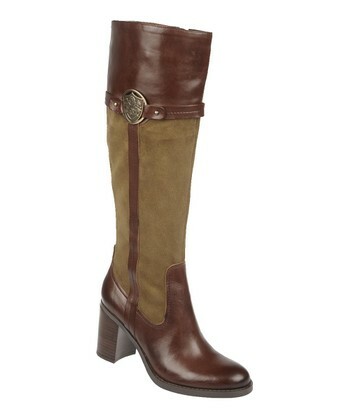 A beautiful boot is the key to a confident stride. Vintage-inspired tweed and smooth leather accents are stitched together atop a chunky stacked heel that provides a lift of upwards of three inches. Looking perfectly put together is effortless thanks to this neutral jacket. 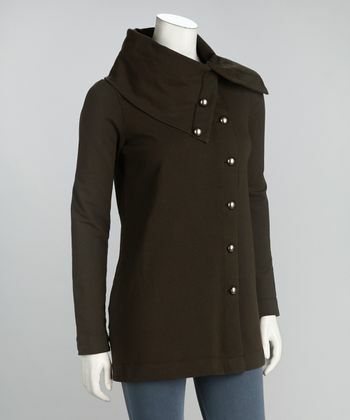 The stretchy cotton blend is as comfortable as a worn-in sweatshirt, but the fold-over collar and polished silver buttons give it savvy style. Swing on over! 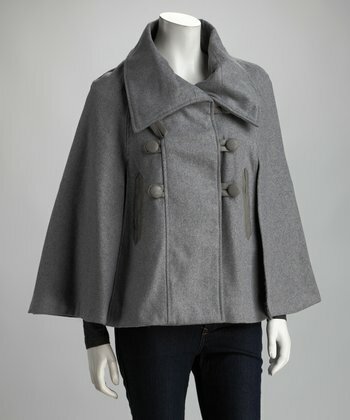 This cape-like coat boasts two rows of buttons and an oversize collar that flips up whenever temperatures go down. Vertical pockets in front look awfully sweet but do double duty keeping fingers warm too. Soft, youthful, ever-flattering jersey makes a scarf that can loop as many times as it needs—and go from lightweight summer accent to windproof wonder. And with Vine Street's commitment to eco-friendly methods—what's not to love? For the little one who's certain that a rosy hue makes everything better, this pretty pink comforter set is a fun and flouncy finishing touch to their décor. 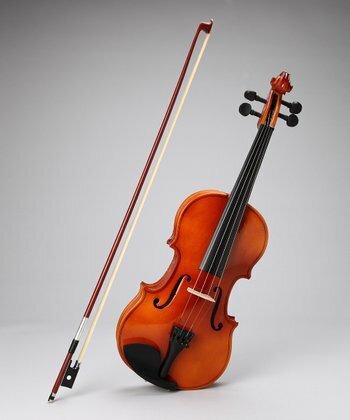 This three-quarters-size violin set has everything a beginner needs to start exploring the instrument, all while fostering a love for music. A hardshell case with plush lining makes transporting the violin easy while its smart design makes it attractive to the eye. Just what is zulily? zulily is fabulous! It's a new online store offering daily sales events on top-quality apparel, gear and other goodies for moms, babies and kids. We carry the best brands at the lowest prices. Members enjoy savings of up to 90% off retail prices. zulily loves to find deals on favorite styles, and we love introducing our members to exciting new brands, too. Why join?It's like a ticket to an amazing sample sale. Only members can take advantage of zulily's low prices. Membership is free and signing up is fast and easy. Once you're a member, you'll be the first to know what we've got to offer every day. How zulily worksWe're not a traditional online store. Instead, we feature new items every day. We find great buys from lots of brands and work with them to ship you the goods. We don't keep stock in a warehouse. zulily events last 72 hours . . . then they're gone! New brands move in and get their three days on the site. Every day, we launch new limited-time shopping events. Members receive a daily email revealing the latest events. From there, members (gleefully!) click to our site and shop. Members can also go straight to the site to shop every morning. Every day is different, so if you're looking for something specific, check back often. Anything and everything for moms, babies, and kids will show up on zulily!